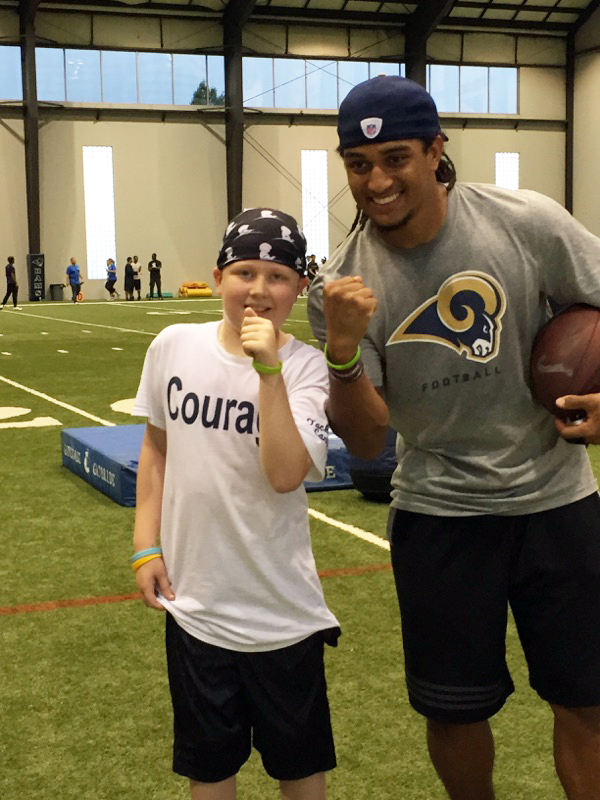 Friends of Kids with Cancer | Patients and guests "Tackle Cancer" with St. Louis Rams! 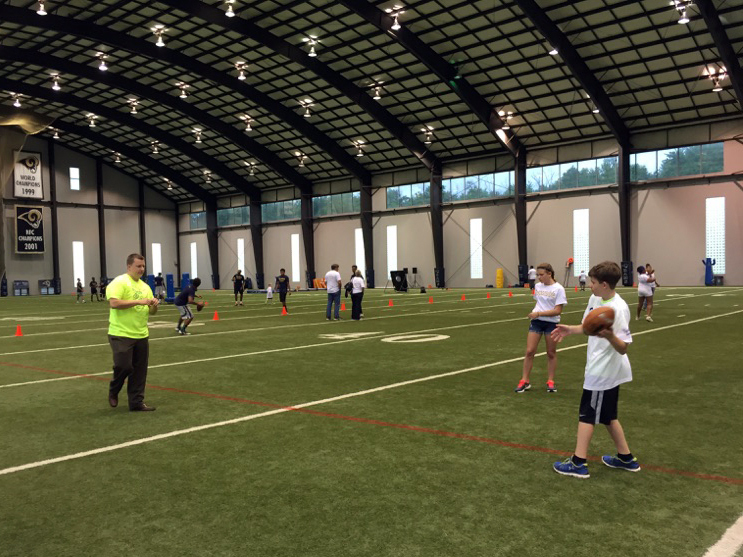 Patients and guests "Tackle Cancer" with St. Louis Rams! 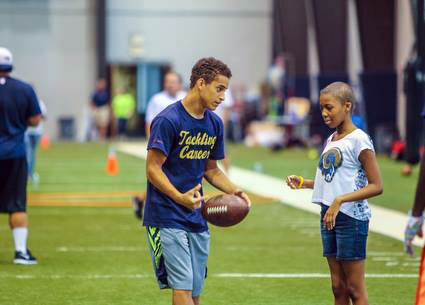 On June 18, 2015, 27 Friends of Kids with Cancer patients and one family member or friend who has supported them throughout their battle with Cancer participated in the 2nd Annual “Tackling Cancer” event at Rams Park in Earth City. This event was hosted by former St. Louis Rams player and Team Draft co-founder Chris Draft . Several other current and former Rams had fun with our patients and their guests, joining in on some football drills! 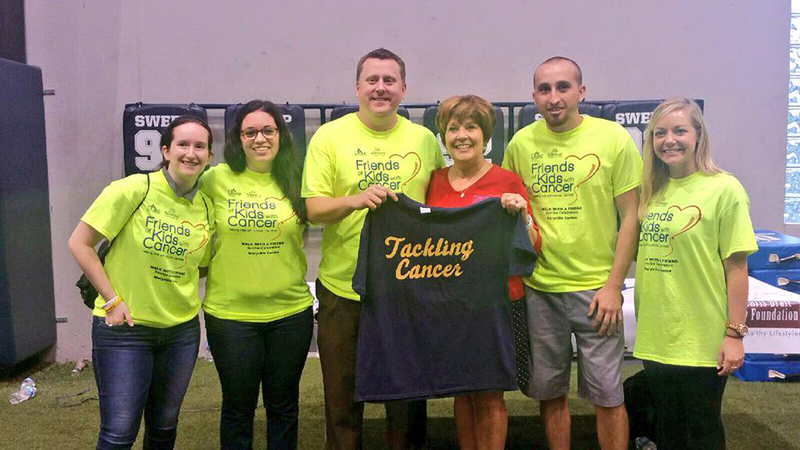 Friends of Kids with Cancer treated parents to dinner while the patient was having fun at the “Tackling Cancer” event. After the clinic, representatives from Team Draft and LiveSTRONG facilitated survivor and caregiver discussion groups focusing on various topics related to survivorship. Our patients and their guests had an incredible time! Thank you to Chris Draft, Team Draft, the St. Louis Rams and any/all volunteers who helped create such a great evening for our patients on their guests! 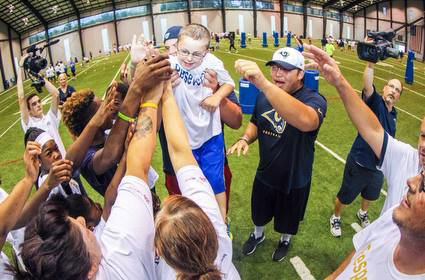 Article from St. Louis Rams! 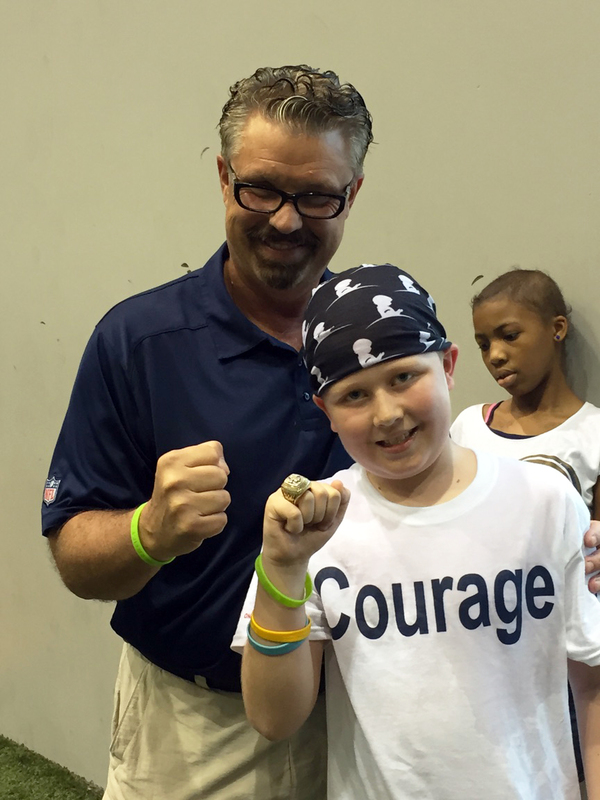 2015 Tackling Cancer with Team Draft and the St. Louis Rams from TEAM DRAFT on Vimeo.